The Bucas Irish Combi Neck is the matching neck for the Bucas Irish Turnout blankets. The neck is very easy to attach by means of Velcro. The neck piece has a very strong 1200D polyester outer fabric, which is extra reinforced by the use of a rip-stop (very thick woven wire). It is waterproof and has a high breathability of 3000 g / m2 24 hours. 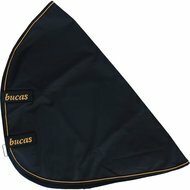 The inner lining is made of smooth nylon, to minimize the chance of abrasions. The neck can be closed at the bottom by means of two ring / Velcro closures. a good addition to the blanket and it fits nicely over the neck. I was already crazy about the blanket itself! But this neck fits perfectly and is easy to apply on the blanket. Nice neck that stays in place. Nice neck that fits on other bucas blankets with handy Velcro strips. The S was perfect for my E pony. 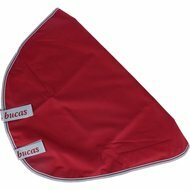 The color red is really different from the bucas smartex unfortunately! Handy neck piece with the matching blanket. Very satisfied. 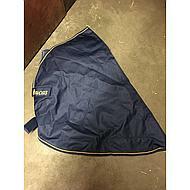 Question: Do you also have the halyards for a shet with blanket size 95/122? Answer: The smallest size neck that is available is size 105/137. 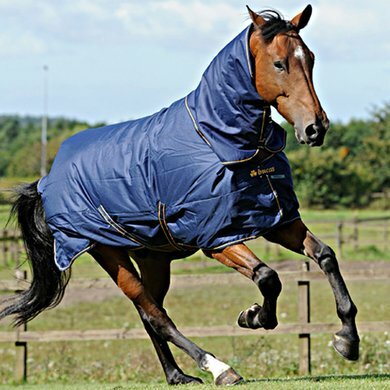 Answer: It is expected that size xl fits best with a heavily built and large horse. Question: Fits the neck piece in Gr. XS on the ceiling in 115 cm? 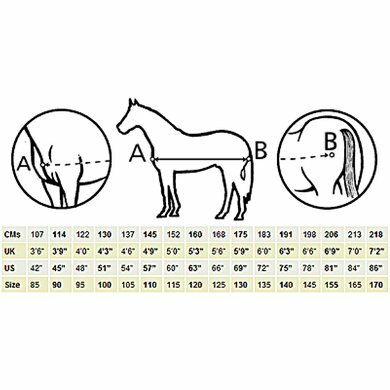 Question: Back length at size S and M? 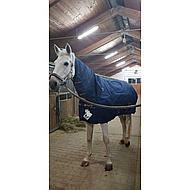 Question: Hi my horse needs size 175-185 do I need med? Question: Does the blanket have a detachable neckline and if so, does that belong to it? 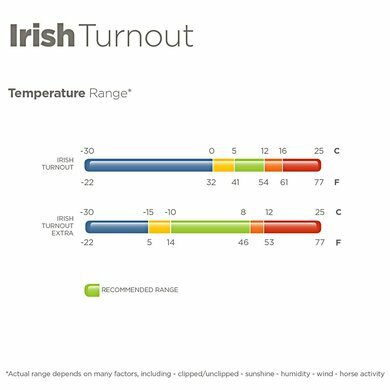 Answer: This blanket has a comfortable temperature of +5 to +12 degrees. 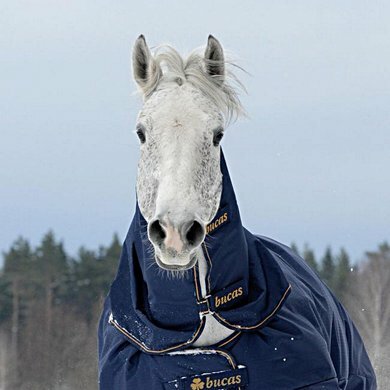 Answer: This blanket has a comfortable temperature of +5 to +12 degrees. This differs per horse. Question: Dear, I ordered a Narrow I read that this would fit for 165-175. My pony has 175. and the neck is really too big hanging 20-30 cm below her neck. Now I wondered if I could have the dimensions of the XS? 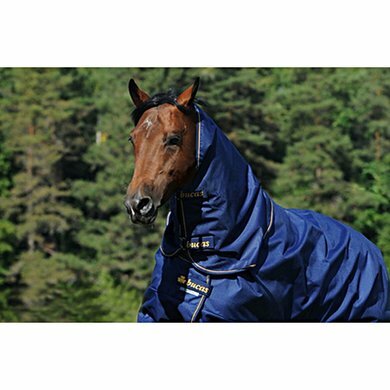 Answer: The size xs is 85cm long over the neck (note: here is also the overlap over the blanket). Question: Does the deck e have 300 or 50 g? This does not appear as the description .. 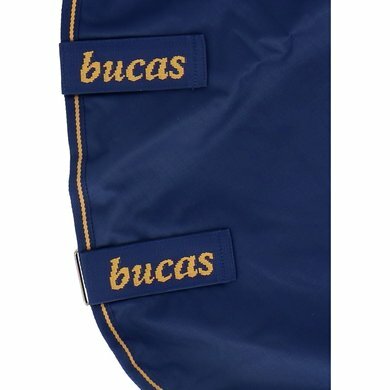 Question: I would like to know if this neck fits on other Bucas rain blankets such as the Smartex. Thank you in advance, kind regards. Answer: The neck can be put on the blanket, but the Smartex has its own matching neck in the same quality as the blanket.